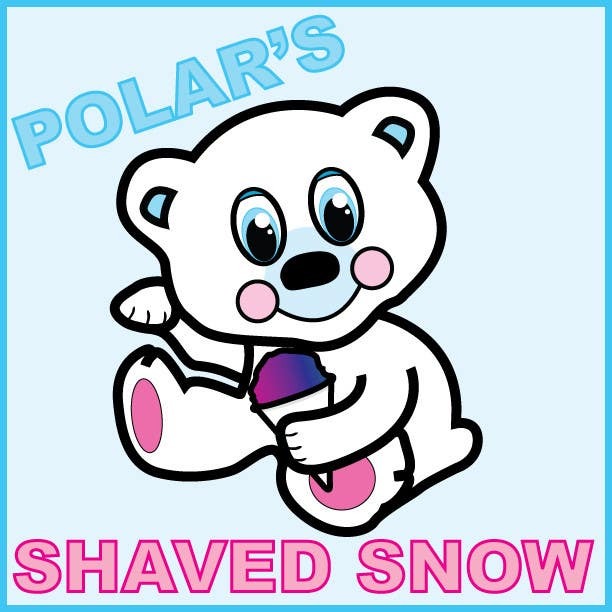 I wasn't sure what the name of your shaved snow store was, so I improvised on the name. I combined the thick black outlines you like front the 'Hello Kitty' example, as well as the pink and blue color scheme you wanted, and used the polar bear image you provided for inspiration. Hope you enjoy, and happy to make alterations.